Every so often, I am reminded that owning a car is an expensive and money draining proposition. Unless it's a collectible, it's gonna depreciate until it's worthless. All the while, we keep pumping in money to maintain it and fix it. Today, it was a scheduled "B" maintenance for the SUV and it was gonna cost me a few hundred dollars. So I left it at the dealer and was picked up by Rich Guy for lunch. During lunch, I got a phone call from the dealership informing me that the service was actually going to more since it was a "B13". What that means is "you gotta pay more buddy". Great, now the service has not only doubled in cost, it will take longer than expected. Hey, I love to eat; but I ain't gonna eat for 3 hours. So I went and got a haircut while Rich Guy went to visit his travel agent (for one of his famous going away trips again). We proceeded to head to the dealership and darn, the car wasn't ready! Fine, we decided to hit up a local Starbucks. You know what? We didn't find one. How come we see one on every block while driving here and can't find one when you need one? Alright, plan B. We passed by a Pearl Fever earlier on and decided to give it a go. I went for something fruity and got the Passion Fruit BBT with coconut jelly. 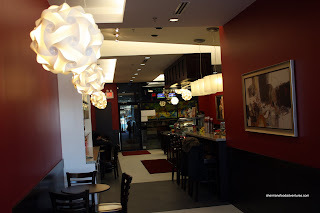 Rich Guy went for a regular Milk Tea. One sip and... woo wee... That's one sweet drink! I know the jelly adds sugar to it; but honestly it was too sweet. I tried to down most of it and I only ended up drinking half. It was well blended and had lots of flavour at least. Rich Guy's drink was much of the same. I didn't hate the drink, so I'll probably give them another try. At the very least, it helped lessen the sting of the bill when I picked up my car. I always ask for Half Sweet at Pearl Fever, sometime it's perfect, sometime it can still be a little over sweet. 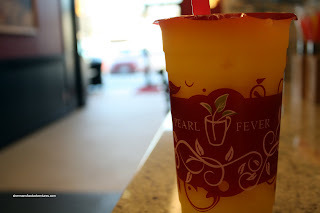 The one thing I noticed is that there are a lot of other ethnic groups that visit Pearl Fever than any other BBT places. 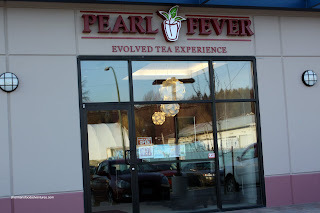 I love Pearl Fever their drink is kind of too sweet but you can always get less sugar..
but the Teas are the best and they have great customer service!! That's a good point. Next time, I'm asking for less sugar!